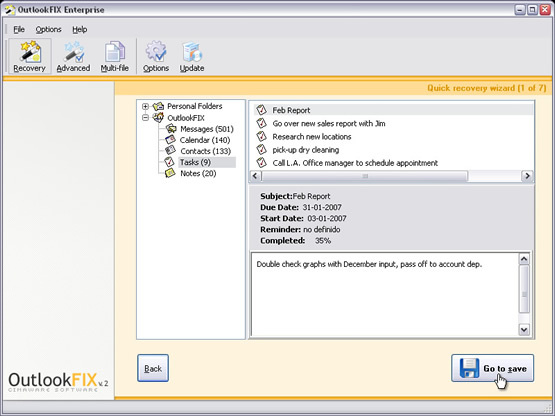 The following screenshots show the OutlookFIX file recovery process. Install now the free Outlook recovery download to repair any Outlook file in seconds on your own computer and view the recovered data. 1. 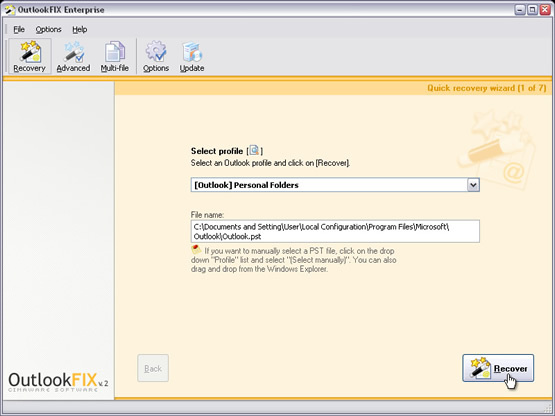 Click “Recover” if OutlookFIX has automatically chosen your PST file. If not, choose “Select file” and use the Windows Explorer. 2. OutlookFIX is recovering the file. 3. Click “View” to examine recovered information. 4. 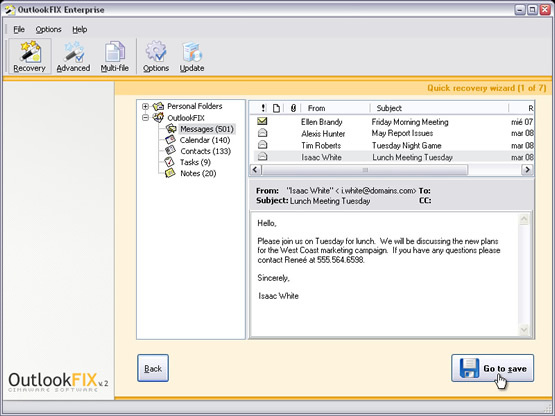 Click on Messages to see the recovered emails. 5. Click on Calendar to see the recovered calender items. 6. 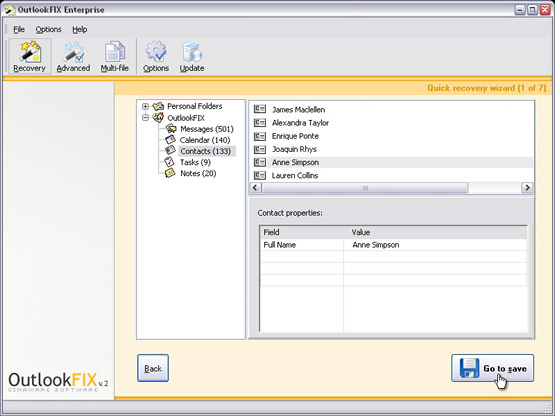 Click on Contacts to see the recovered contact items. 7. 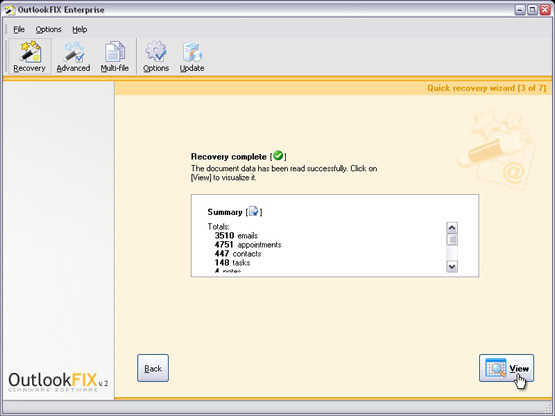 Click on Tasks to see the recovered task items. 8. Click on Notes to see the recovered notes. 9. View the path to recovered file and click “Save”. 10. OutlookFIX is saving the recovered file. 11. 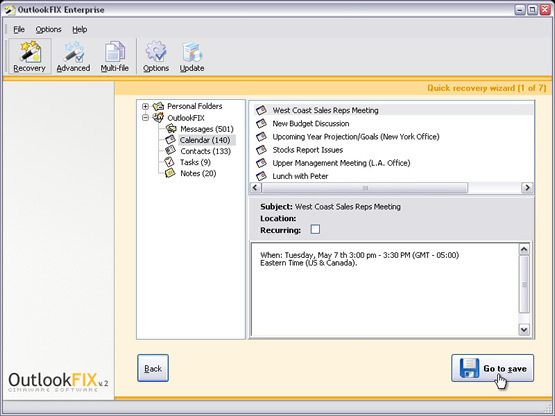 Open MS Outlook and import the fully recovered and error free PST file.